Finally, sweater weather has finally arrived and I am excited to share with you this awesome compilation of knitted ponchos to wear in cold season. We are about to see amazing designs that can be incorporated with our everyday essentials. 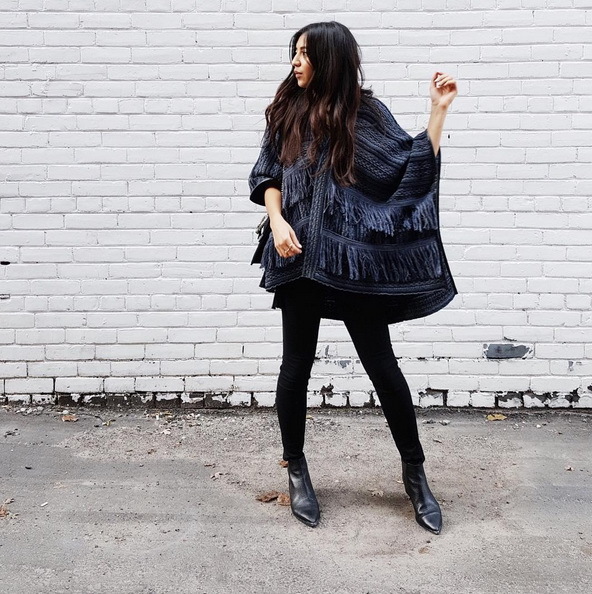 The poncho trend is stunning. Every single piece showcased in this post looks flattering and original. I love to see celebrities, bloggers, editors and street style fashionistas who pair ponchos with feminine floppy hats and knee-high boots. This knitted must-have is the game changing outerwear you need this season. Keep on reading to check how these fabulous knitwear essentials can be worn in your everyday life. That's an awesome plaid knitted poncho with a turtle neck. You can wear it with skinny jeans and peep-toe black booties. Make sure to try this trend. I've seen lots of great fashion shows in Milan, Paris, New York and London, where models appeared on the runways wearing this marvelous garment. This overcoat is great for showing off on the streets. This is a perfect piece of outerwear which makes your overall outfit look fun, individual and timelessly chic. 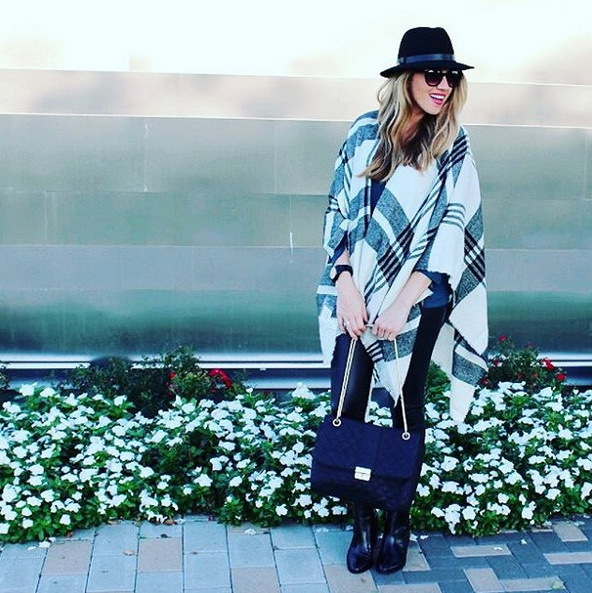 If you want to add a fashion statement to your look, you can simply wrap up warm in heavy knit poncho. Anyway, I would love to know your favorite style combinations that feature poncho. Let me know in the comments below.